Not many people know about Grenada, which is great for tourists who are looking for an off-the-beaten-path destination, but not so great for the local people trying to make a living from tourism. This gorgeous Caribbean island bobs quietly in the sea, just a few kilometers from Venezuela and Trinidad & Tobago. 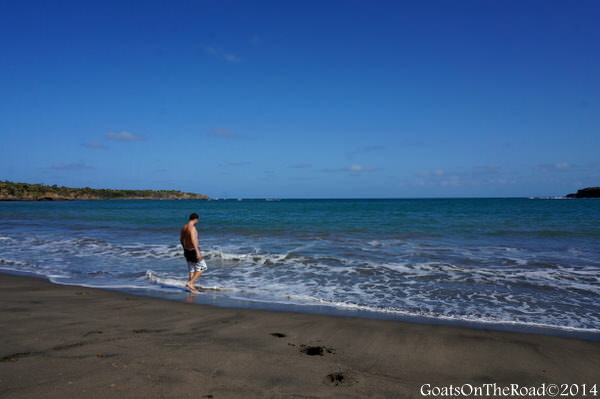 Coves, bays, and sandy stretches are plentiful in Grenada — there are roughly 42 beaches here. Many of the beaches are perfect for swimming with soft, white sand and turquoise waters, while others are for the more adventurous. For some of the hidden bays, you may need to hike along rocky ledges and through thick jungle before reaching your destination, but it'll be worth the walk. You can choose to soak in the Caribbean Sea or the Atlantic Ocean. You have the option of going for a picnic, or going for a day of lounging on sun chairs. Each beach is unique and has something amazing to offer. The Caribbean is known for its colorful buildings and homes, but here in Grenada, the colors really pop! Every home and business seems to be painted either bright orange, yellow, pink, blue or purple. These shades really stand out against the lush green foliage. Not only are the buildings colorful, but so are the local people's clothing. Grenada isn't a place for black, white and beige, this is a funky, vibrant island with lots of flare. The Hash House Harriers are a group of social runners/walkers. You can find them all over the world, with the hashers in Grenada getting together for some exercise every Saturday. The group of a hundred or so people follow shredded piles of paper through the jungle, over riverbeds and through various neighborhoods on the island. 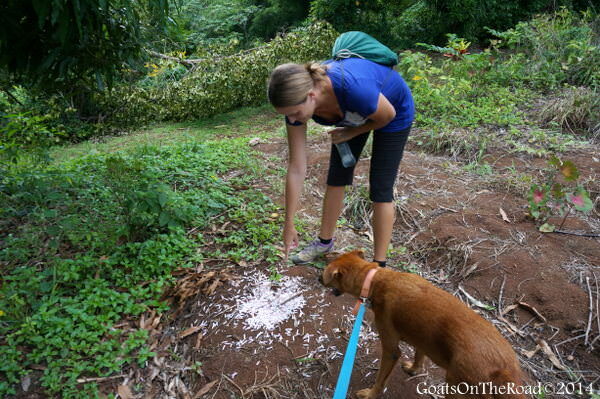 The goal is to return to the same rum shack that the race started at. It's a great way to add some fitness into your day, meet new people and discover parts of the island that you otherwise would have missed out on. Following shredded paper during a hash. Many of the islands in the Caribbean are flat, but the great thing about Grenada is that it's mountainous. There are more than a dozen popular waterfalls on the island, with the tallest being 70 feet high. The falls are a great place to cool down after a humid hike. Make sure to wear your bathing suit and enjoy the chilly water. Because this island is off of most tourist's radar, it's been able to retain an authentic, Caribbean feel. Grenada isn't pretentious; it's rugged and real. The people aren't fake, they're genuinely interested in talking to you and aren't jaded by tourism. You'll see the backs of pick-up trucks loaded with people, men carrying machetes as they walk down the street (used for agriculture) and groups of people hanging around "liming". Everyone gets along and you'll enjoy the chilled-out vibe and local feel of the island. Grenada is one of those countries that should be on everyone's travel list. With all of the amenities a tourist could want and with lower prices than many places in the Caribbean, what's holding you back? Come and visit this rare jewel in the Caribbean before everyone else does! 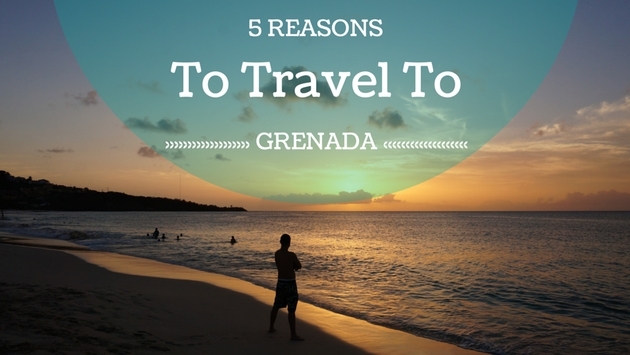 Have you ever been to Grenada before? Does it sound appealing to you? Share with us below!